Reserve your future Badlands Motorsport Club Membership. This deposit can be used towards the purchase of any Badlands Motorsports Club Membership. At this time, deposit holders are not committed to any specific membership type. Final membership level or type will be determined at time of final purchase (est. opening date) and is subject to availability and finalized prices and benefits. Limited membership opportunities are available! Due to high demand, Bronze level individual memberships are no longer available for reservation. All deposits are held in a lawyer’s trust account. This deposit is fully refundable subject to terms and conditions described below. 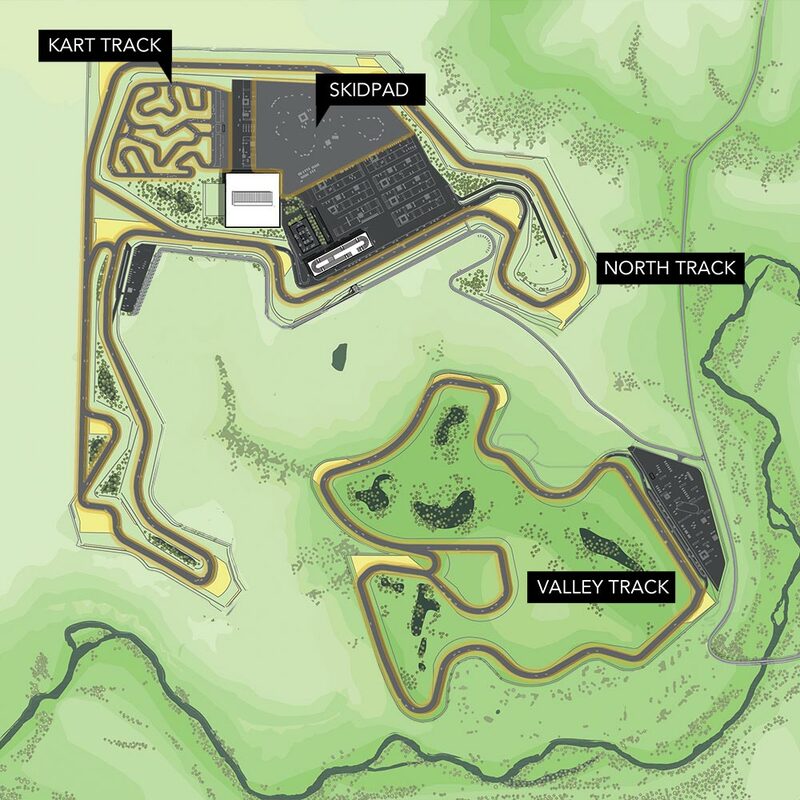 Designed by renowned racetrack designer Alan Wilson, Badlands Motorsports Resort features four venues for driving, including two full length road courses set in the stunning Canadian Badlands. In combination with these driving facilities, the development will feature a variety of vehicle and equipment storage options, exclusive member programs, and a comfortable range of amenities for drivers and their families. Badlands Motorsports Resort Club is committed to creating truly one-of-a-kind experiences. For more information on proposed membership levels and benefits download the Membership Outline. THIS AGREEMENT is between the prospective member (“Prospective Member”) and Badlands Motorsport Club Facilities Inc. (“BMCF”) in respect of a refundable deposit provided by the Prospective Member to BMCF in the amount of $1,000 to reserve the right to purchase a membership in Badlands Motorsports Club (the “Club”). The Club is operated by BMCF and is expected to be run out of facilities of Badlands Motorsports Resort to be developed in the Canadian Badlands near Drumheller and Calgary in Alberta, Canada. The projected opening date of the Club is expected to be on or about June 1, 2019 and is subject to change based on construction scheduling and development logistics. The membership rates of the Club have not yet been established. Published rates and benefits are projections, and may change before the opening date. BMCF hereby acknowledges receipt of the sum of $1,000 paid by the Prospective Member. BMCF will accept payment of the deposit by credit card (Visa, MasterCard, and American Express) or by cheque payable to BMCF’s legal counsel, “Brian Lester in Trust”. All deposits received by BMCF hereunder will be held in a non-interest bearing solicitor’s trust account, subject to the terms of this agreement. The Prospective Member has the right at any time to request BMCF to provide a full refund, without penalty or interest, of the deposit until the Paving Date within twenty (21) days of written request. The Paving Date is the date upon which paving of the Badlands Motorsports Resort race course is anticipated to commence. The Paving Date is estimated to be on or about June 1, 2019 but is subject to change based on construction schedules and development logistics. BMCF will provide the Prospective Member with written notice of the Paving Date occurrence along with a copy of the Badlands Motorsport Club Membership Agreement and a Club membership application. Within sixty (60) days of such notice, the Prospective Member may submit to BCMF an application for a Club membership (at a type and level set out in the Club Membership Agreement) at the special discounted rate and have the deposit applied as a credit to the purchase of such Club membership. Upon receipt of the Prospective Member’s notice, BMCF shall provide the Prospective Member with for review. Membership in the Club of all levels and types are non-equity members and only provide certain rights to use the facilities of the Club. Should the Prospective Member not wish to proceed an application for a Club membership, the sixty day period expires, or the Paving Date does not occur prior to June 1, 2020, the Prospective Member’s entire deposit, without penalty or interest, will be returned within twenty one (21) days and both BMCF and the Prospective Member will have no further obligation under this agreement. BMCF and the Prospective Member acknowledge and agree that a Club membership is not intended to be a security of BMCF or the Club, and a Club membership does not entitle a Prospective Member to an equity interest or any profit sharing in BMCF or the Club. Nothing herein shall be construed as an offering of securities by BMCF or the Club. The payment of the deposit by the Prospective Member to BMCF shall only be considered to be a refundable deposit for a Club Membership and shall not a deposit or a partial payment for the purchase of any securities of BMCF or the Club.